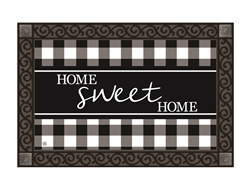 Size: Decorative Doormat: 30" x 18"
This MatMates decorative doormat pairs beautifully with an optional decorative tray (shown above) and is intended for indoor or outdoor use. 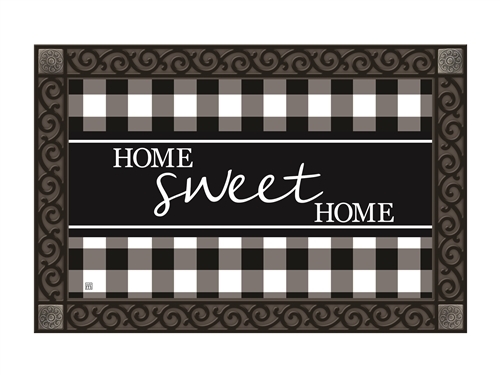 With the decorative border and metal corner accents, the 24" x 36" tray adds the perfect finishing touch to your mat. Add to the look with the coordinating BreezeArt garden flag. Kindly note that the MatMates design is shown above with the optional scroll decorative tray.